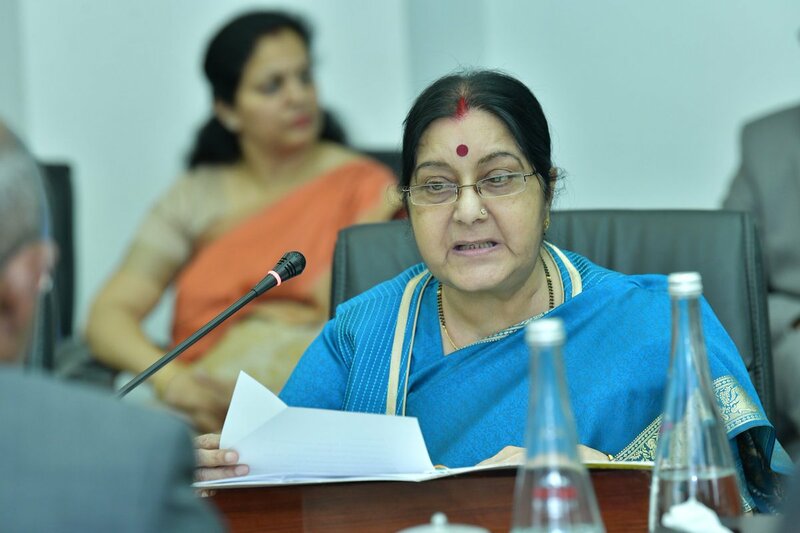 New Delhi: External Affairs Minister and senior saffron leader Sushma Swaraj says she is deeply hurt by the use of words towards Bharatiya Janata Party (BJP) veteran Lal Krishna Advani. “Rahulji – Advani ji is our father figure. Your words have hurt us deeply. Please try to maintain some decorum of your speech,” Swaraj said after Rahul targeted BJP over Advani’s exit from the electoral contest. During his Lok Sabha poll campaign, Rahul said Advani was humiliated and shooed away from the stage. “Advani was Prime Minister Narendra Modi’s guru. BJP talks about Hinduism but guru is supreme in Hinduism,” the Congress chief said in Maharashtra’s Pune days after Modi from the same state targeted Rahul for contesting in Muslim-dominated Kerala’s Wayand seat besides Uttar Pradesh’s Amethi. Advani, 91, has been denied a ticket to contest the Lok Sabha poll in 2019. BJP national president Amit Shah instead will fight the poll from Gandhinagar, of which party’s founder member Advani is a sitting MP. Couple of days ago, Advani took a shot at his own party by writing a blog. In the blog, the BJP veteran explained his view on “anti-national” tag which is often uttered by the saffron leaders on the basis of issues. “The essence of Indian democracy is respect for diversity and freedom of expression. Right from its inception, the BJP has never regarded those who disagree with us politically as our ‘enemies’, but only as our adversaries,” Advani wrote. Apart from Advani, other BJP’s senior leader Murli Manohar Joshi also said he was asked not to contest the upcoming polls. Sushma Swaraj had already announced that she won’t contest the Lok Sabha polls 2019.